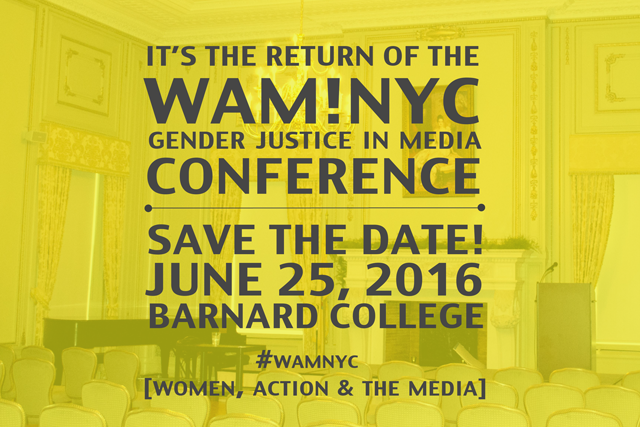 Last year our WAM!NYC Gender Justice in the Media conference was headlined by the amazing co-founder of ‪#‎BlackLivesMatter‬, Alicia Garza. We had an engaging day of panels on gender and racial justice in the media. Who do you want to see at this year’s conference on June 25? Tell us! Share your opinion on who should speak at the conference or what panel topics should be covered. Just click here.